Wedding Flower Colours….. bad luck? 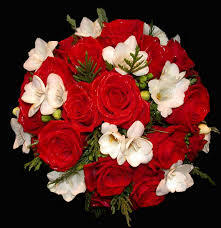 I’m seeing loads of bouquets and flowers in red and white, and Pinterest seems to be full of this colour scheme, too. My Mum was a nurse, and she always told me that red and white flowers were banned from hospital wards (back in the day when you could actually take flowers into hospitals!). 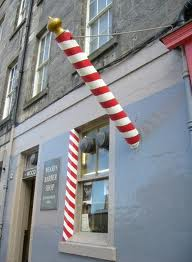 They were a portent of doom, as these colours signified blood and bandages (think of the red and white barber’s pole: barbers used to be surgeons!). However, it seems that brides aren’t too bothered by this superstition even when they are aware of it – and not everyone seems to be!